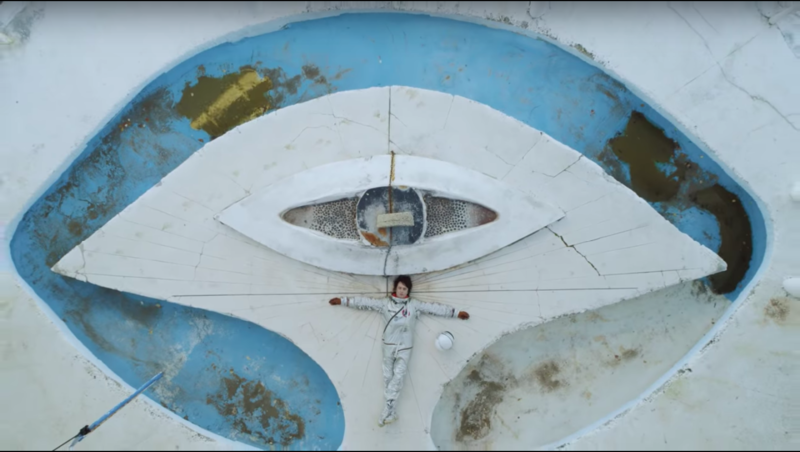 Jason Pierce (aka J Spaceman) has long used lyrics, melodies, and iconography from the broad history of rock 'n' roll to bring greater context, weight, or just a knowing wink to Spiritualized's music. The band's 1997 magnum opus Ladies and Gentlemen We Are Floating In Space famously opens with a marriage of Elvis Presley's "Can't Help Falling In Love" and Pierce's own swirling melancholia. That album also features a song named "Come Together" and another that re-employs lyrics from John Prine's "Sam Stone." 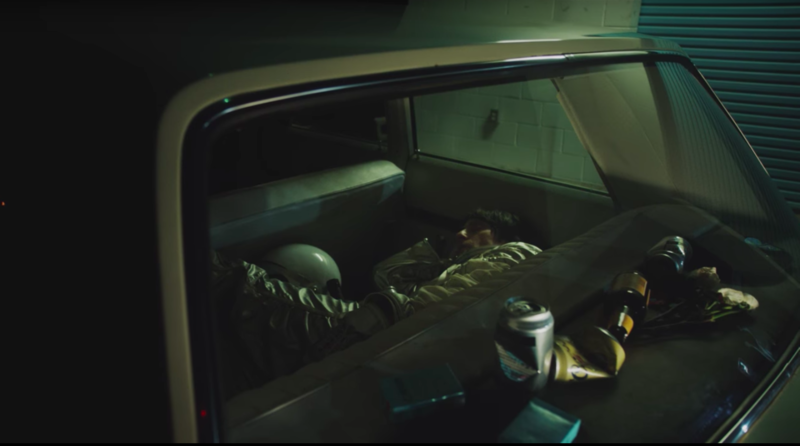 Shot in legendary locations in Southern California, the video aligns with Pierce's penchant for rock 'n' roll allusions. Hank Williams, Link Wray, Elvis, and Sun Records adorn Pierce's dash. Decked in a spaceman suit, Pierce is sure to pack both a portrait and bobblehead of Hank Williams before beginning his drive. 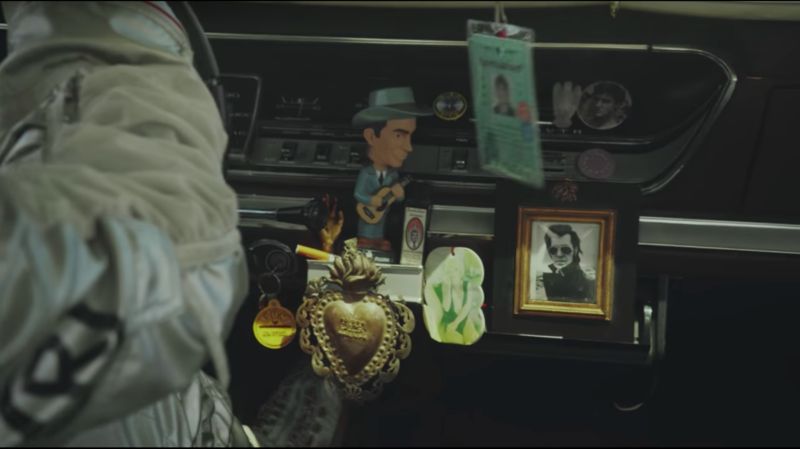 Once in the car, you can see an additional framed portrait of Link Wray, a smaller portrait of Elvis, and a Sun Records keychain dangling from the steering column. Pierce heads out first to Joshua Tree National Forest—the scene of so many psychic cosmonaut sojourns—where every LA rocker since Gram Parsons has retreated to clear or intentionally muddle their heads. Sleeping it off in the backseat. At one point, Pierce rests in the backseat of the Plymouth, with beer bottles strewn across the back of the car, an apparent recreation of Hank Williams' last moments, having passed out one final time in the backseat of a Cadillac. Visiting the shrine to Gram Parsons at the Joshua Tree Inn. Pierce then visits the scene of another overdose death at the Joshua Tree Inn, where Parsons died of a mix of drugs and alcohol in 1973. Pierce visits the shrine to the country-rock artist that is maintained on the motel's grounds. Inside a room at the Joshua Tree Inn. The motel room where Pierce stays in the midst of bottles and trash may or may not be Room 8, Parsons' favored room at the inn and the one in which he ultimately lost his life (and, some believe, continues to haunt). 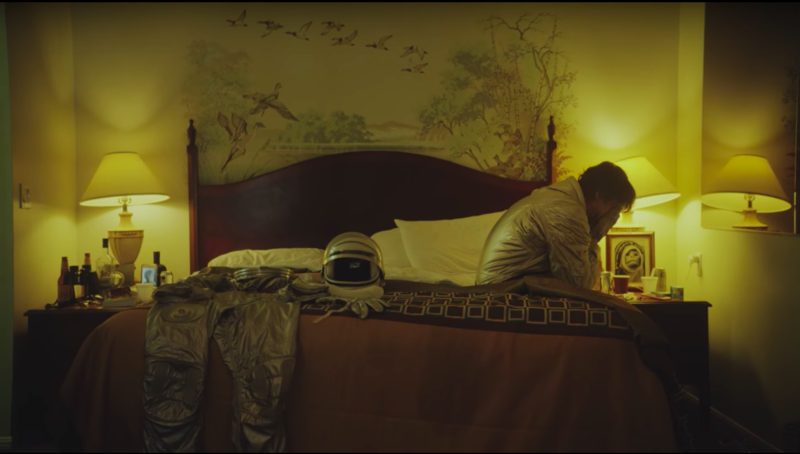 There's also an empty spacesuit on the bed next to Pierce, suggesting that there is some unseen fellow traveler with him. Lying in the eye at the MoonFire Ranch. MoonFire Ranch, a now-dated but once futuristic complex of buildings, was originally built for a movie in 1966. Resting in Malibu's Topanga Canyon, the ranch offers expansive views of the Pacific Ocean and LA. In the late '60s, private parties held there would include performances by Jimi Hendrix, Janis Joplin, and The Doors. 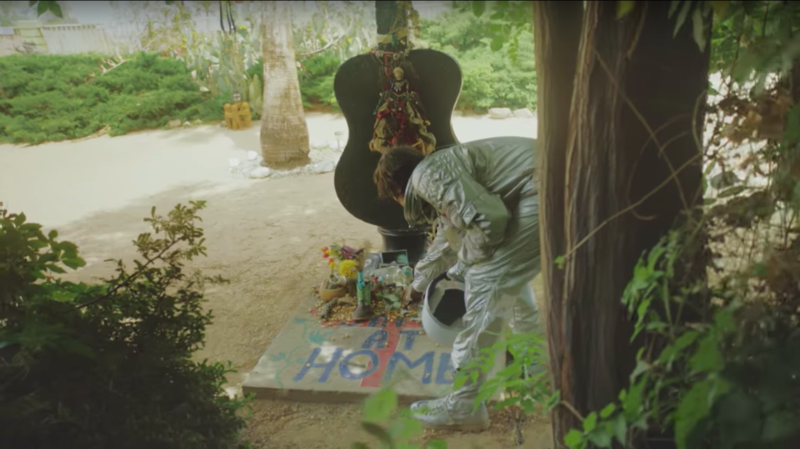 That so much of the video's themes revolve around the deaths of famous musicians is likely a commentary of Pierce's own health troubles. Years ago, a doctor found that Pierce had all but destroyed his liver after years of dangerous living. Check out the video in full above, and let us know in the comments if you spot some classic rock imagery we've missed.